Alejandro Ramirez has become a frequent face the Chess Club and Scholastic Center of Saint Louis as he transplanted from Texas and now lives and works in Saint Louis. Ramirez was inspired by the movie Searching for Bobby Fischer when he was four years old. He became FIDE Master at the age of 9, an International Master at 13, and earned his Grandmaster title by the age of 15. That achievement set Ramirez as the first Centro-American to earn the elite title and, at the time, the second youngest grandmaster. A competitor in three U.S. Championships, Ramirez displayed some of his finest chess in May 2013, when he pushed reigning champion Gata Kamsky to a playoff for the national title. He drew the first two playoff games with Kamsky before losing an Armageddon game where he had 19 minutes and 45 seconds against Kamsky's 45 minutes. 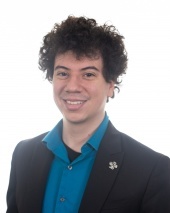 Ramirez studied video game design at the University of Texas at Dallas, earning a master’s degree in Arts & Technology, and he now currently serves as an editor for the popular chess news website ChessBase. Ramirez expertise has made him the natural selection for the new Saint Louis University chess team head coach position. The team made it to the final four of the Pan-American games in its first year. Along with coaching chess, Ramirez is a regular broadcast commentator in both English and Spanish for the Chess Club and Scholastic Center.